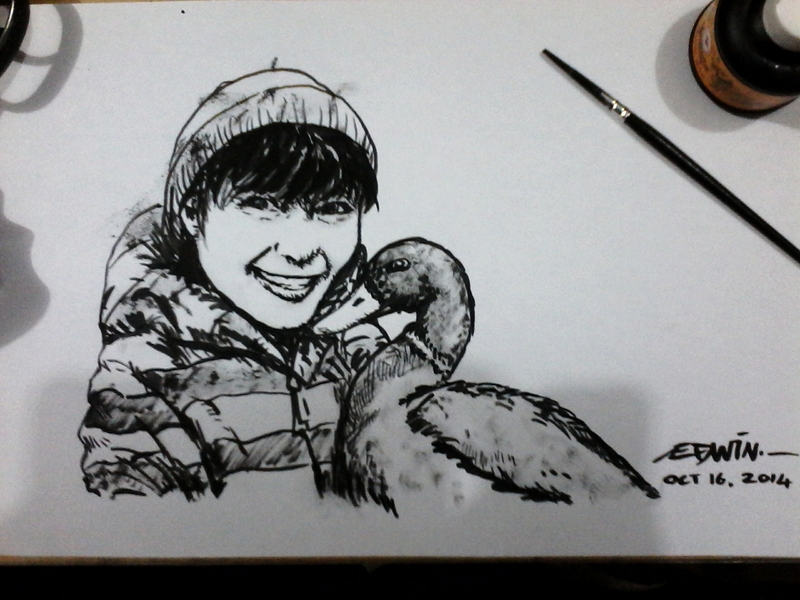 I’d like to thank Sonia Leong for giving me the idea for today’s ink drawing. I’ve planned to draw another friend for #inktober, but couldn’t decide the pose. Sonia’s post reminded me of a CBeebies TV series Diego loves so much, and the idea fits this friend’s name perfectly. Those who have accompanied their kids watching this TV series in CBeebies should recognize her immediately. Those who know the model, well, you will recognize her as well, I hope. ~ by edwinlives4ever on October 16, 2014. Nils’ friend was a Morten gander, not a duck.